Examination Thesis from the year 2010 in the subject Business economics - Business Management, Corporate Governance, grade: 78/100, The University of Surrey (Business School), course: MBA - Global Strategic Management - Microsoft global outsourcing strategy, language: English, abstract: In today's global market, competition has become a race to acquire skills and competencies as well as a battle for market position especially in the domestic electronics industry where companies increasingly compete on responsiveness and flexibility, placing a premium on ?rst-mover advantages. 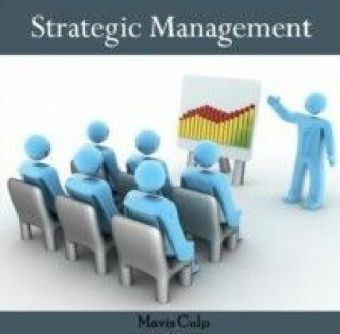 (Bryce et al., 1998) According to Slack, strategic decisions and tactics aimed at maintaining profitability and growth are derived from a firm's capabilities, resources and processes. (Slack et al., 2009b). 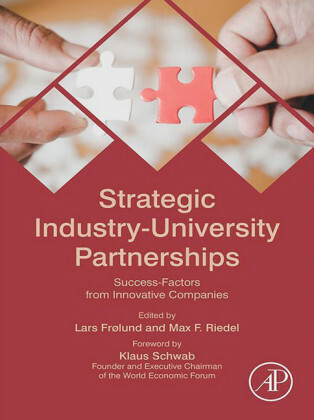 Improving those performance drivers leads to competitive advantages that are significant in winning and maintaining customers, while gaining more business to the firm. (Slack et al., 2009a). Porter believes that a firm can outperform its rivals if it can establish a difference that it can preserve. This could be through delivering greater value to its customers or creating value at a lower cost, or both. 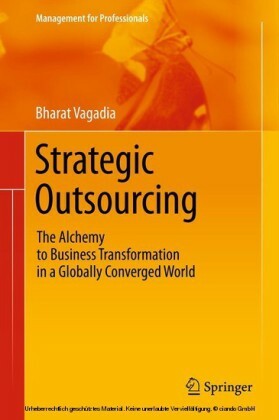 Such differentiation arises from the choice of strategic objectives and how activities are performed better than rivals across the value chain. (Porter, 1996a) Each company decides on which performance building blocks (Figure 1) they wish to excel at to deliver a unique mix of value, and how to configure their value chain for best fit (Neely, 2008). 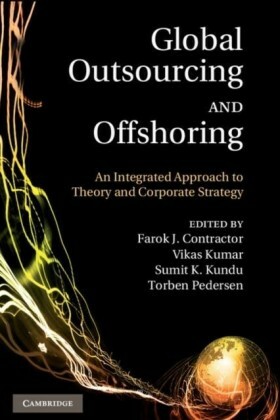 This is done either through focusing on core competencies inside the firm itself, or leveraging external capabilities through outsourcing and partnerships. 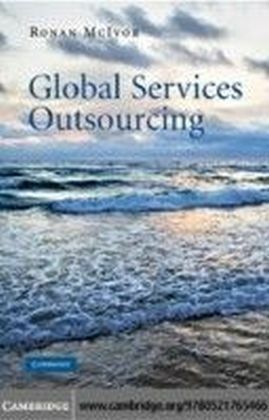 The goal of this paper is to discuss the main strategic reasons behind outsourcing, its importance to the domestic electronics industry and whether it can provide a sustainable competitive advantage to that sector. 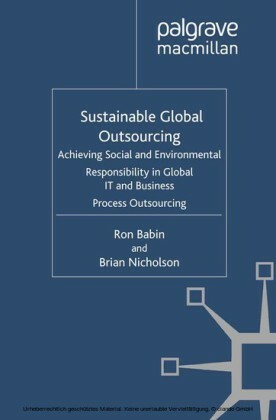 Furthermore, this paper will highlight the rationale behind outsourcing decisions verses insourcing, and its relationship to a company's strategic capabilities. 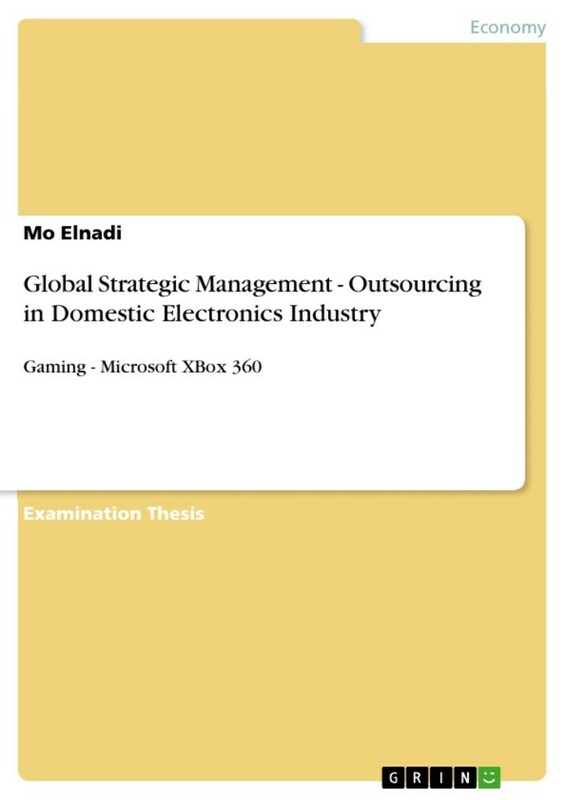 To illustrate the arguments, the paper utilizes management tools including Porter, Value chain, SWOT, RV, VRIO, McKinsey Portfolio Matrix, Ansoff, and other Capability Assessment Maps; for an in-depth analysis of Microsoft's hardware outsourcing manufacturing strategy for the XBox 360 gaming consoles, global value chain, capabilities and resources management and tactics. 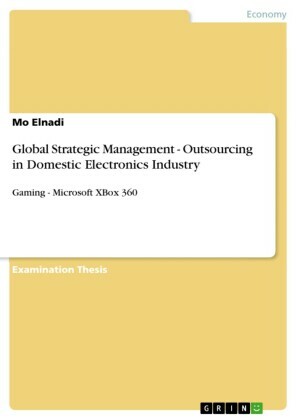 This is looked at in context of how to achieve competitive advantage in the global gaming market focusing on the Xbox gaming consoles.